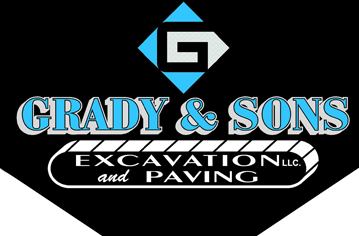 We are very proud of our Safety Program at Grady & Sons Excavation, LLC, as we have been recognized by the Department of Labor & Industry - Bureau of Workers’ Compensation for meeting the requirements set forth under the Pennsylvania Workers’ Compensation Act, Article X, for establishing and maintaining an effective workplace safety committee. There is nothing more important to us than keeping our employees safe. We require all employees and hired subcontractors to follow safety regulations and abide by our Safety Program 100% of the time. We will continue to educate ourselves on the topic of safety and we will continuously review our policies and procedures to help ensure compliance with current OSHA regulations and standards. As you know, there is a long list of ways to stay safe throughout the work day and on the job site. Aside from the obvious protective attire, equipment inspections, and work site checks, we believe that cleaning up the work site at the end of each business day is a very important task to avoid any potential safety hazards. Our attitude towards safety and work site neatness go hand-in-hand, any steps taken to avoid a future problem, is most important to maintain a safe work environment at all times. Another important part of our Safety Program is the monthly toolbox talks. This is a structured monthly meeting and all members of the committee must be in attendance. This committee is a good representation of each department and level of employee. We feel these meetings empower our employees to bring any safety related concerns to the attention of management plus it gives us an opportunity to review and correct any potential hazards.